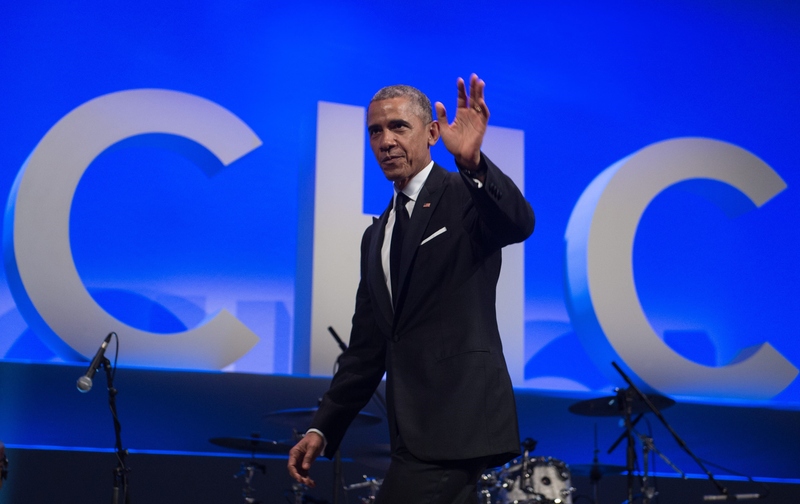 President Obama delivered an impassioned keynote speech at the Congressional Hispanic Caucus awards dinner on Thursday night. The commander-in-chief took aim at damaging immigration reform rhetoric while also highlighting his own accomplishments since first taking office in 2008. According to Obama, the country is currently on a record 67-month streak of job creations. Likewise, this is the first time in American history that more than 90 percent of citizens have health insurance. POTUS certainly has a lot to boast about, but he's well aware there's more work to be done. The 10 best Obama quotes from his CHCI speech certainly reflect that. We can imagine his fear and humiliation. What had been a beautiful day had suddenly become an example of occurrences that were happening far too often. ... That young man never lost faith in his country, and less than 25 years later, stood under the capital dome to represent those very streets in the Congress of the United States of America. [Roybal] dedicated his life to the idea that America can change, that our union can become more perfect and today his legacy lives on; not only in the legislation he passed and the improvements in his district. ... He helped start the CHCI because he knew we were stronger together than we could ever be alone. When the cynics told us we couldn't change our country for the better they were wrong. There are now more job openings today than in any time in history. Our high school dropout rate is the lowest on record and Latino students are making some of the biggest gains. They [cynics] have invented this new reality where everything was terrific back in 2008, when the unemployment and uninsured rates were rising and DREAMers lived in fear of deportation and [Osama] bin Laden was still at large. That was the golden era in those days. ... Now when you listen to them, you still don't know what they're for except turning back the clock on the work we've done together. That's not leadership — turning against what's right the moment the politics in your base gets tough. Leadership is not fanning the flames of intolerance and then acting all surprised when a fire breaks out, saying clearly inflammatory things then saying well that's not what I meant until you do it again and again and again. My predecessor, George W. Bush... made immigration reform a core priority. 'We cannot build a unified country,' he said, 'by inciting people to anger, or playing on anyone’s fears or exploiting the issue of immigration for political gain...' Think how much better our economy would be if the rest of his party got the message. There have been generations of immigrants that have been subject to the same kind of attitude with some of the same stereotypes. It wasn't right then and it wasn't right now. And unless you were one of the first Americans — unless you're Navajo or Cherokee — somebody somewhere came from some place else. If you want to be taken seriously as a leader you can't just be against everything. You've got to be for something. You can't just feed on fear. You should be feeding hope. You should be fixing our immigration system. ... You should tell the truth which is illegal border crossing is the lowest that it's been and economist agree that immigrants don't hurt the economy but help. America's greatness does not come from building walls. Our greatness comes from building our opportunity... I vow to spend every last day in office making sure everyone can get ahead. This change will not be easy because change never is... It takes longer than the tenure of one president but what we together have shown and proven is when we stick together and put our shoulder to the wheel of history, not only is change possible, change is inevitable.